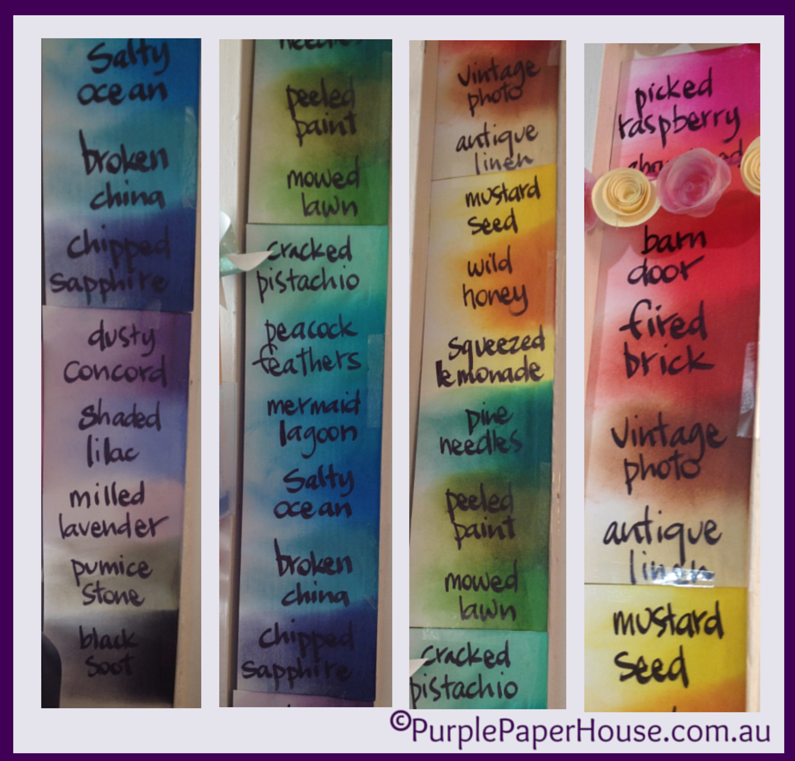 A lot of Creative people have trouble being organised – or perhaps it only applies about my brain and Creative space! Although we LOVE the idea of being organised, the truth is a lot of us are also perfectionists which strangles our attempts at order. 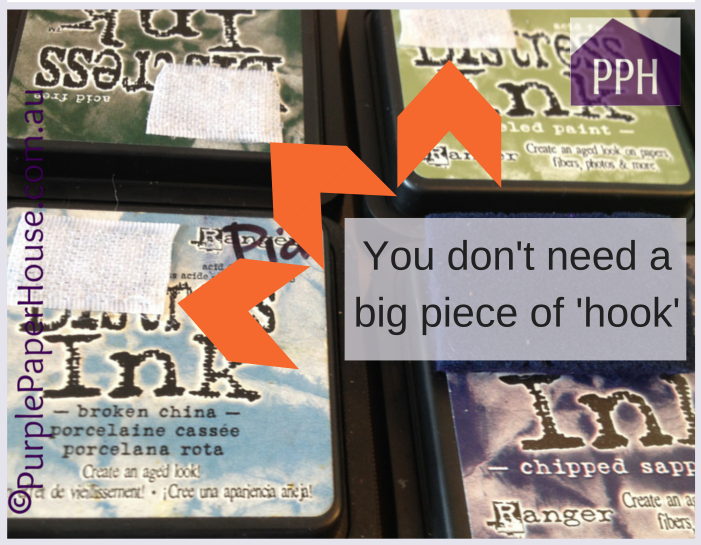 It’s never quite right . . . . either it’s not in a matching box, or it’s in the wrong place or you saw a storage idea on Pinterest that you just have to make. So this week I decided I had to stop pfaffing about, get a few things sorted and find a home for all my bibs ‘n bobs. It’s been quite a liberating experience. 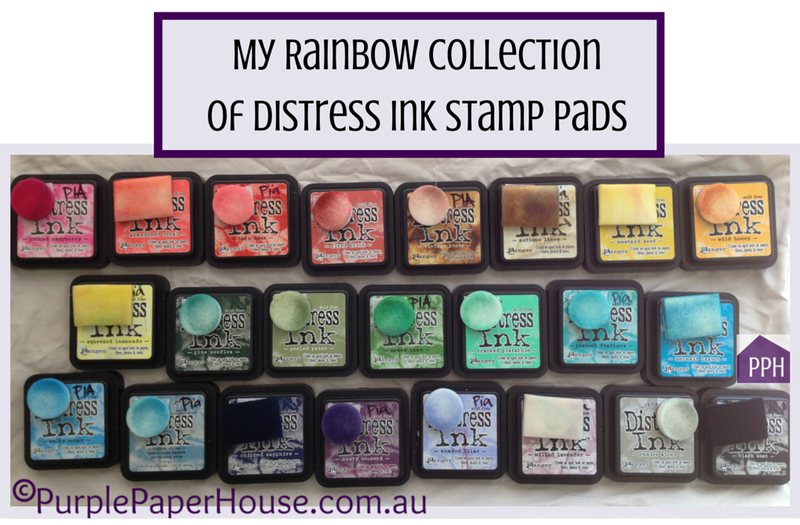 and my T!m Holtz Distress Ink stamp pads are actually in one clean container and all the old blending foam pads have been discarded.
. . . ROYGBIV . . . 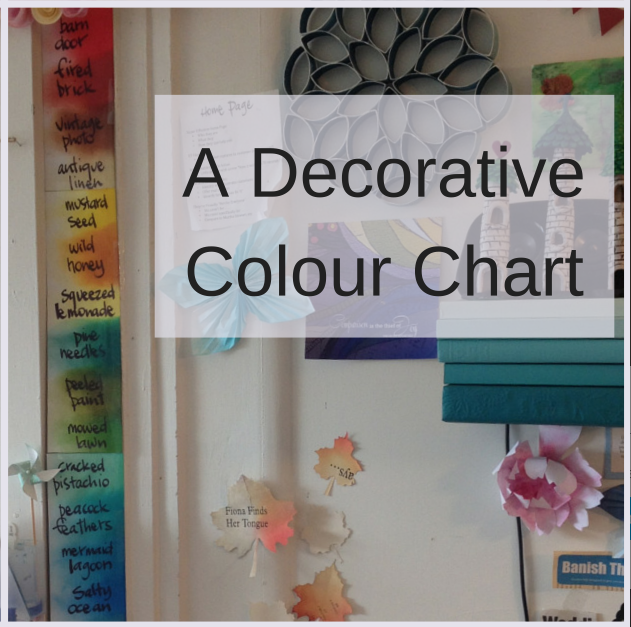 I realised after doing this, that a little Colour Chart would be an ideal way to know quickly which Distress colours I had and which would be perfect for the project that I was ensconced in. gave me a definitive ‘wow’ moment. HOWEVER, one thing that struck me as I was loading each Blending Tool with a foam pad for each new colour, was that it was a pain-in-the-arse. 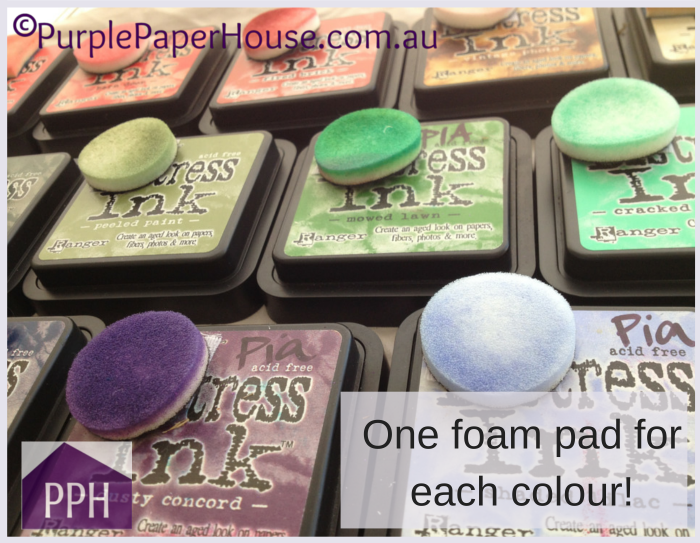 I seemed to have a dozen used foam pads in my container, but some colours had three pads and others had none! My random system of matching foam pads with distress colours, was costing me money. 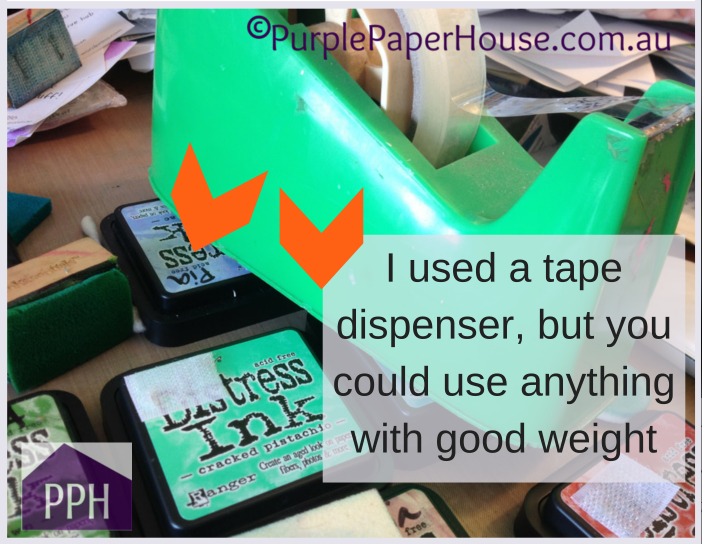 But then I had a moment of absolute genius strike me – why don’t I attach a foam pad to each stamp pad? I’ll never have to forage madly in the container to find the perfect match EVER again. I already had hook&loop** strips, and because of my current cleaning & organising frenzy I knew exactly where they were. 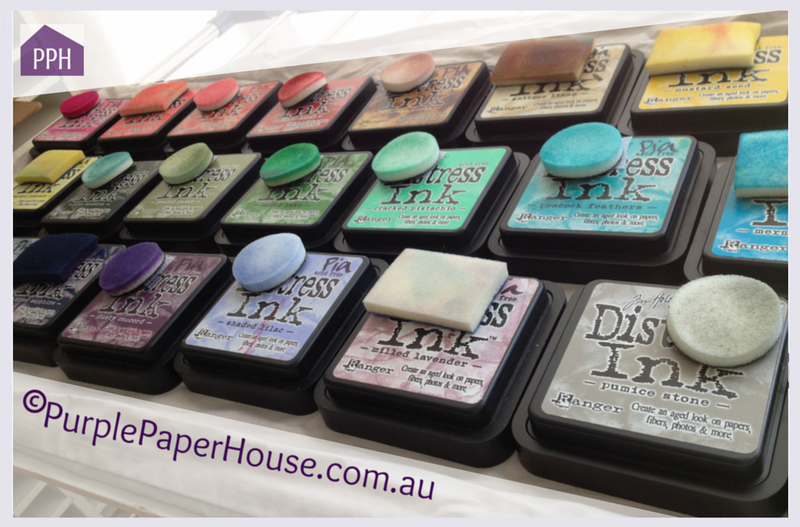 I cut a 2cm (1″) strip for each Distress Ink pad (to go on the lid). I just adhered the piece of ‘hook’ with PVA, but to make sure there was a strong (and long-term) bond onto the lid, I weighted it down for a couple of hours. I did this for all 23 lids, as I knew it was worth the effort. 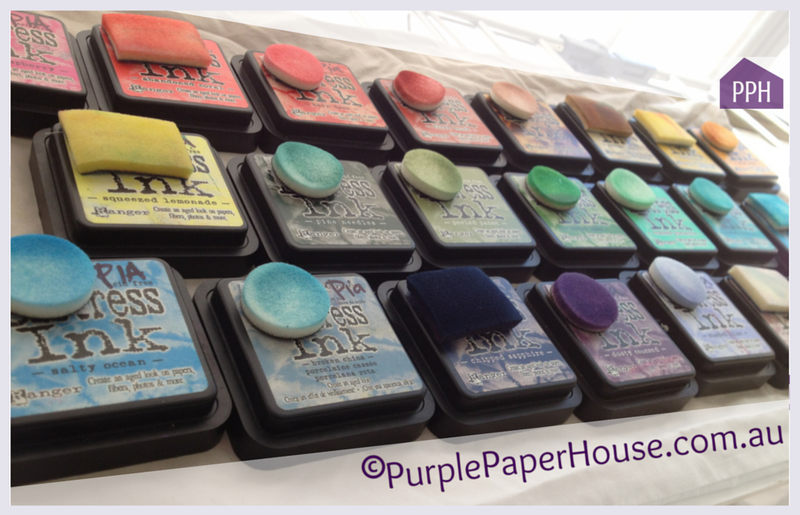 Then I attached an individual foam pad to each stamp pad lid. Was it as good an idea as I thought it was? Or am I twelve months behind every other crafter and just don’t realise it?!? You can tell me – my feelings won’t be hurt.